Celebrate Cinco de Mayo with a margarita. Recover with a FREE breakfast taco on Seis de Hangover. Click the link below to get the details of this free offer. It just says check back for the coupon. 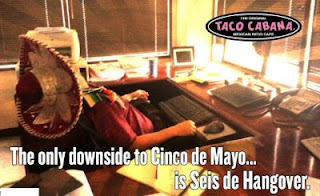 I assume it may not go live until Cinco de Mayo.